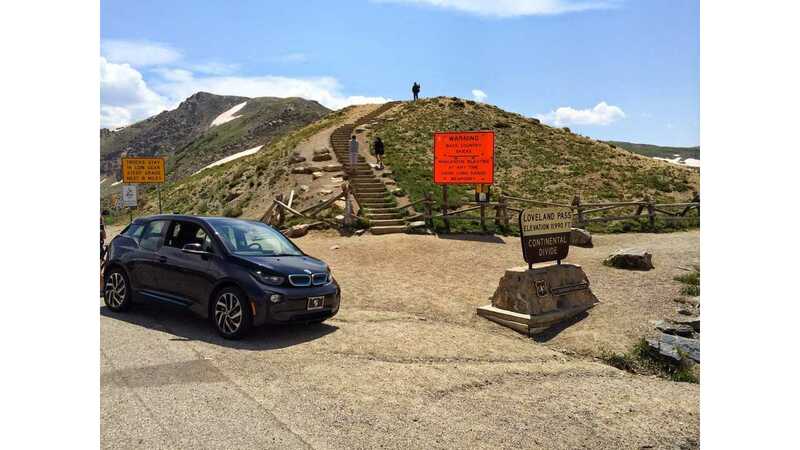 A few weeks ago Don Parsons of Denver, Colorado took his i3 REx on a 128 mile road trip from his house to Loveland Pass (Continental Divide, Colorado). 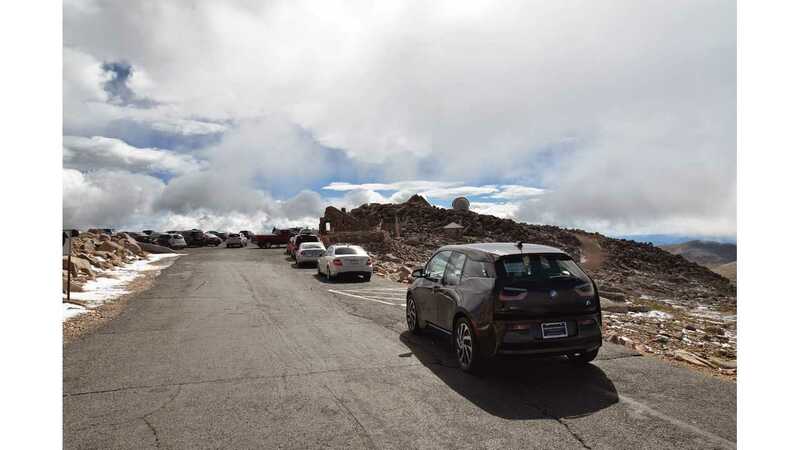 On his way up to the 11,990 ft elevation of Loveland Pass he stopped at Beau Jo's Pizza for lunch and to charge on their public ChargePoint EVSE where his i3 REx accepted 8.9kWh's of juice to help with the rest of the climb up the mountain. 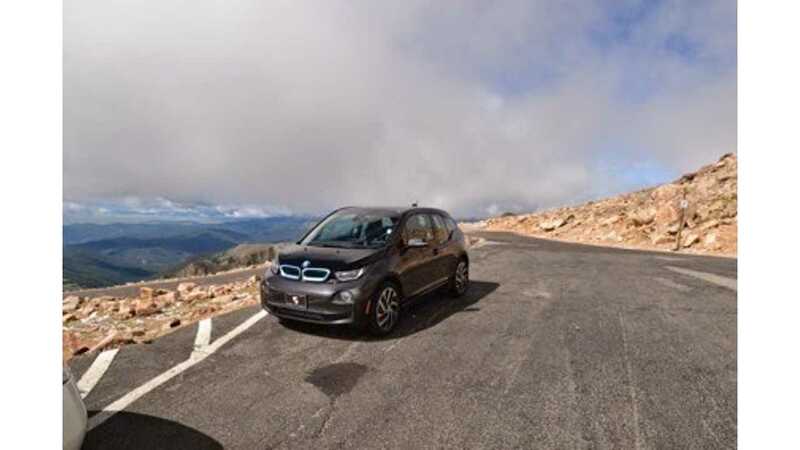 The car showed 18 miles remaining at the top of Loveland Pass, and he nearly made the trip entirely on electricity when 62 miles later the range extender kicked on and he was only 2 miles from his home. 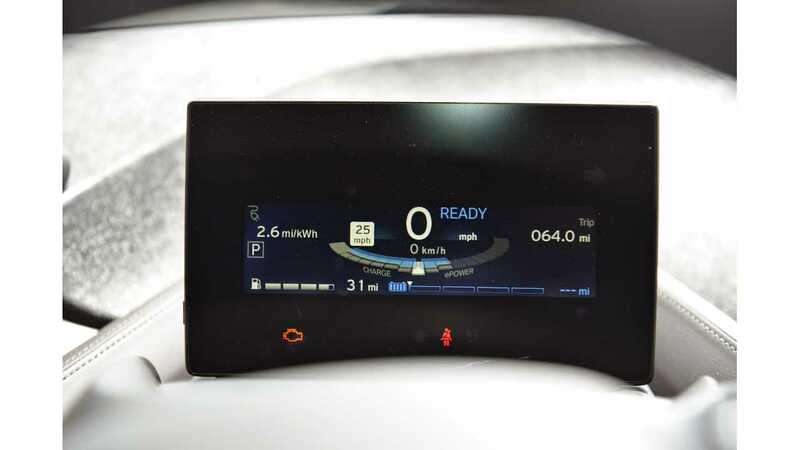 *Editor's Note: This post appears on Tom's "The Electric BMW i3" blog. Check it out here. I’ve had my BMW i3 REx for almost two months now and haven’t really used or tested the REx engine. Before today, I’d driven about 1750 miles total with only about 10 miles using the engine. I decided to drive from my house in Denver to the top of Mt. Evans and return without stopping for gas or topping off the charge. Using the REx engine in the mountains can be tough because the output of the small engine can’t really put out enough power to go both highway speeds and climb uphill. However, the road to the top of Mt. Evans is pretty narrow, has steep drop-offs, no guardrails and a lot of cyclists sharing the road so you really don’t want to go much faster than 35 mph. For this reason, I thought the small engine could hopefully handle the climb. For those that don’t know, Mt. 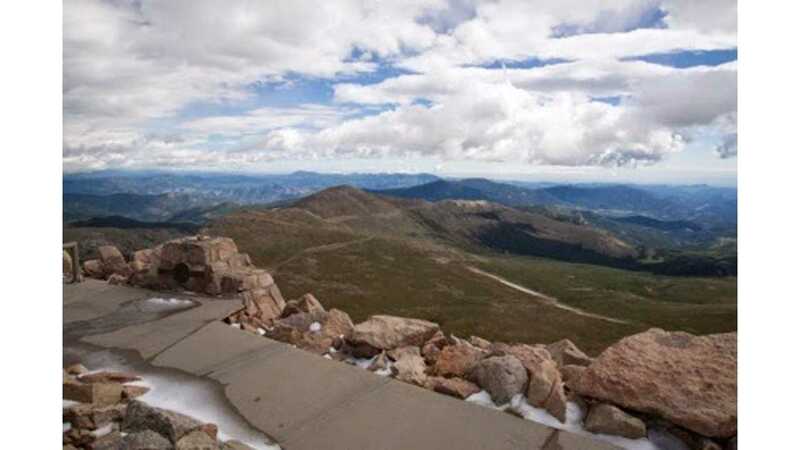 Evans is the highest paved road in North America with an elevation of 14,130 feet above sea level! I live in Denver which is at 5,280 feet above sea level. It’s 63.5 miles from my house to the top Mt. Evans. 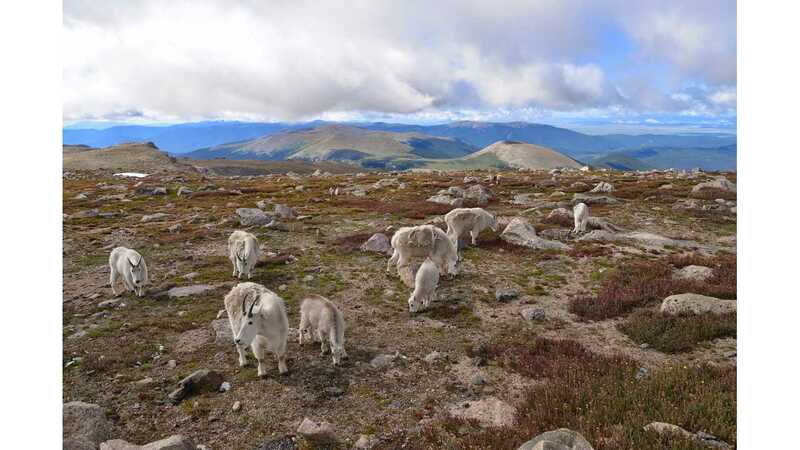 With some up and down hill climbing, the total ascent is 12,446 feet and the total descent is 3,686 getting to the summit. I set the car into Eco Pro+ and set out on city streets of Denver, then I-70 west up the mountains to Idaho Springs. Mt. Evans highway winds its way south from Idaho Springs to the Mt. Evans summit in 28 miles. When I originally entered the destination into the navigation system, the guess-o-meter said 61 miles of range. I tried to keep the cruise control set to about 5 miles over the speed limit. I was surprised to find that the Rex engine didn’t turn on until about 52 miles into the drive (about 10 miles from the summit) with a total trip average mi/kWh of 2.8 when the REx kicked on. However, about 1 minute after the REx turned on I got a Brake error message that ended up making the brake pedal feel stiff and pretty much unusable. Fortunately, I was still heading uphill and the regen seemed to be working normally. I could hear the engine speed up during the straight parts of the switchbacks and as I slowed down for the sharp curves, the engine almost immediately slowed down as well. I never really wanted to travel faster than 35 mph so I didn’t notice any performance hit until near the summit. On the last few switchbacks, I put my foot to the floor and couldn’t get the car to travel faster than 26 mph. At close to 14,000 feet of elevation, the engine was probably severely limited from its usual output at sea-level. 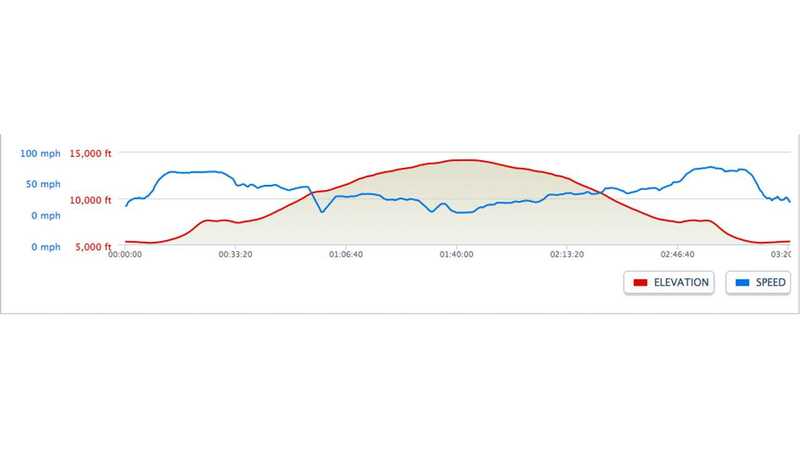 I’ve heard people say that an ICE reduces power output by 5% for each 1,000 feet of elevation. In any event no other cars were traveling any faster than 25 or 30 mph so I didn’t feel unsafe. I finally made it to the top at 14,130 feet! The temperature had gone from 68 degrees in Denver to 35 degrees and quite windy. This road usually shuts down for the winter sometime in September so they will be expecting snow to start accumulating up there pretty soon! As I was getting ready to head down, I was worried about whether I would have any use of the brakes since I had turned off the car and walked around the summit for about 5 minutes hoping the error would reset but it didn’t and I still had a stiff brake pedal. Since it was 35 degrees up there, I was pretty cold and didn’t feel like waiting any longer so I thought I would start to head down and see how well the regen worked to keep the car in control. You can imagine how happy I was to have such a high regen rate because I felt like I was in complete control all the way back home. During the descent from the summit down to Idaho Springs I was excited to see that the regen had built up a full 25% of the battery SOC and the guess-o-meter said as high as 28 miles of range on the battery. I drove home significantly on battery but the REx kicked in a few times where there was some climbing. It also stayed on once I got out of the mountains but I was easily able to maintain 75 mph on the highway leading east back into the city. Some stats on the whole trip. 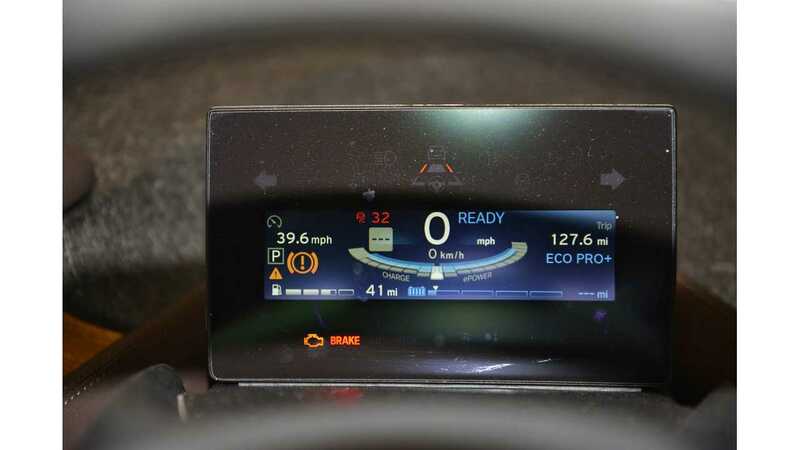 I traveled 127.6 miles and averaged 4.9 mi/kWh and average speed was a total of 39.6 mph. I used a little over a quarter of the rex tank which I think is pretty minimal for traveling almost 130 miles! As you can see from the picture, the brake error was still in place when I arrived home. However, after being on my EVSE for a little over an hour, everything was cleared out and a quick trip to grab lunch showed that everything was back to normal. I should point out that I haven’t gotten any software updates yet as I haven’t been able to set aside the time. Until this trip, the only error I’ve seen from the car is the Check Engine Light, which remains illuminated. There is a software update that will eliminate this waiting for me at my dealer, so I guess it's time to get the car into the shop for the updates. Hopefully the brake error is related to the 12v battery issues that others have discussed and will also be fixed with the latest software version I'll be getting. When I thought about getting the i3 Rex, I figured that I would use the battery over 95% of my driving miles. So far, it seems like I’m using the battery over 97% of my miles. That said, I’m still happy to have the Rex as it completely takes away any range anxiety when I’m traveling in the flats of the front range of Colorado. What about the mountains? 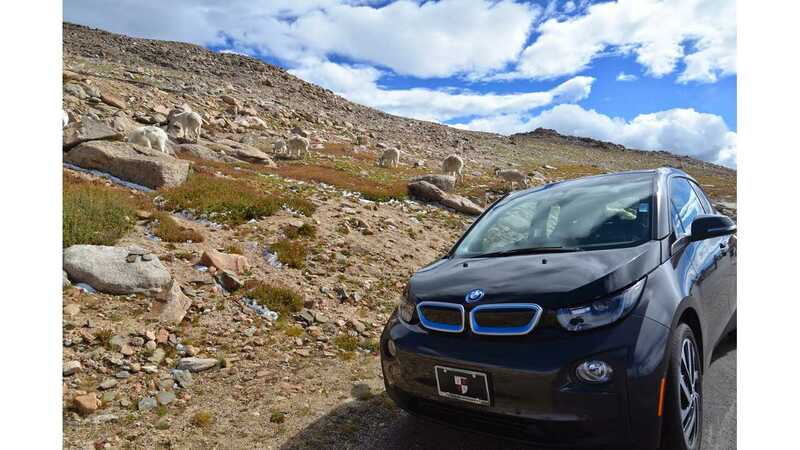 I was concerned about using the i3 REx in the mountains and still believe that having a REx hold mode similar to the European version of the i3 or the Chevy Volt would make this an even more enjoyable car in Colorado. That said, a couple CCS fast chargers placed strategically off I-70 would go a long way to helping the issue. 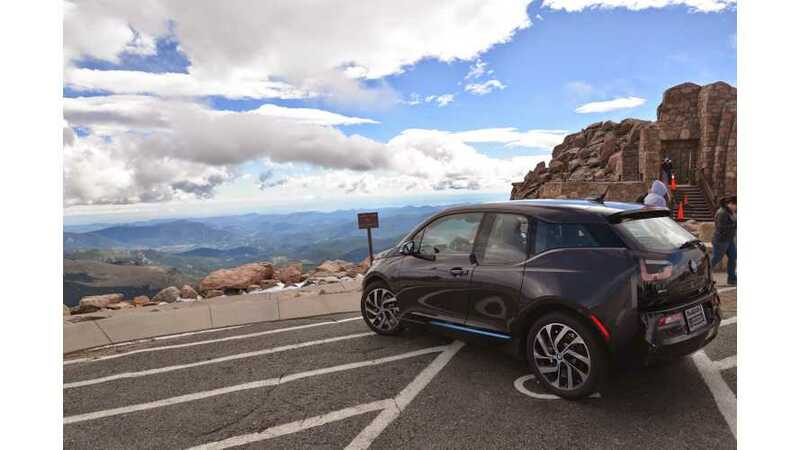 Locations in Idaho Springs, Silverthorne (where the 8 Tesla Superchargers are located) Copper Mountain, and Vail would be ideal spots to get a quick top-off and be truly useful in the mountains. I’ve also kept my 335xi for long distance ski trips since it has all wheel drive and is still a great car. However, even without the fast chargers I was able to make it to the summit and home without a problem. I’m very happy with the the i3. The performance, handling, smoothness, and quietness all contribute to a great experience. Like others have said, it’s hard to go back to a regular internal combustion engine after experiencing electric!